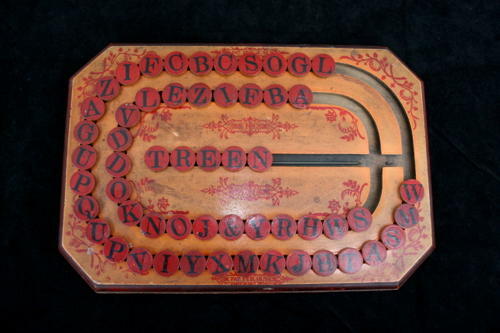 A Charming Wooden Childs Educational spelling Game, American Patent dated Feb. 16th. 1886. All the letters move around freely. A similar but slightly different one can be found in Pinto's Book "Treen and other wooden bygones".